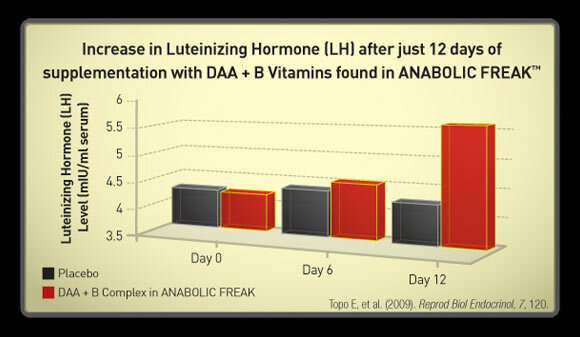 PharmaFreak ANABOLIC FREAK at Bodybuilding.com: Best Prices for ANABOLIC FREAK! Clinically Validated Dosage: 3,120 mg D-Aspartic Acid! Almost finished with my first bottle and I can tell a big difference in my strength and definition. I already have my second bottle so I can do a full 8 weeks, I have used this product before and really like it. Healthy diet and heavy weight training is my routine and this product works! I can say that if you use its in the right way, you will happy. This is my 1st review about Testos Boost product. I write because I already use and re-order. TOTAL WASTE OF MONEY. period. As a 54 year old man, in my opinion this product deserves a 10/10 rating. It has given me the energy and stamina to get through my workouts like when I was in my 20's. My average bench press when not taking this product is 315. With the product I'm up to 375. I am asked all the time what juice I'm taking. When I tell them it's anabolic freak and test freak from bodybuilding.com they can't believe it. I love this product and will always use it. 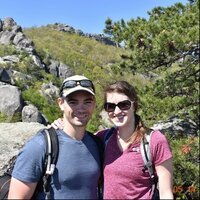 I'm a 44 yo male that got back into lifting after a hiatus, and I needed a jumpstart. 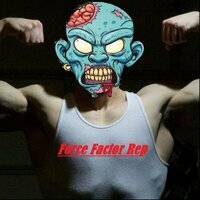 AF is the only supp I've used where I've had an increase in strength, a shorter recovery time, and a significant boost in my motivation. But, my joints couldn't keep up. I stopped AF for a month and rested the joints. After a week, my strength gains disappeared, and motivation was nonexistent. I figured when I started messing with boosters, I would retain SOME gains. Nope. All that time I spent in the gym using AF has been wasted. I feel I'm back at square one. Demoralizing. So, if you want a product that works, this is it! But ask yourself, are you gonna shell out $50/month for this; or lift the right way, and keep what you've worked so hard for? I hadn't hit any plateaus but I was still able notice gains were made in less time than usual. Nothing crazy intense but the extra gains are there and for a fair price. 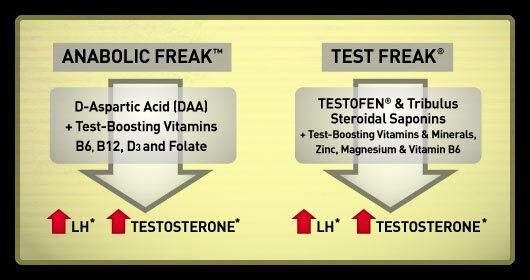 I took this stacked with PharmaFreak Test Freak. 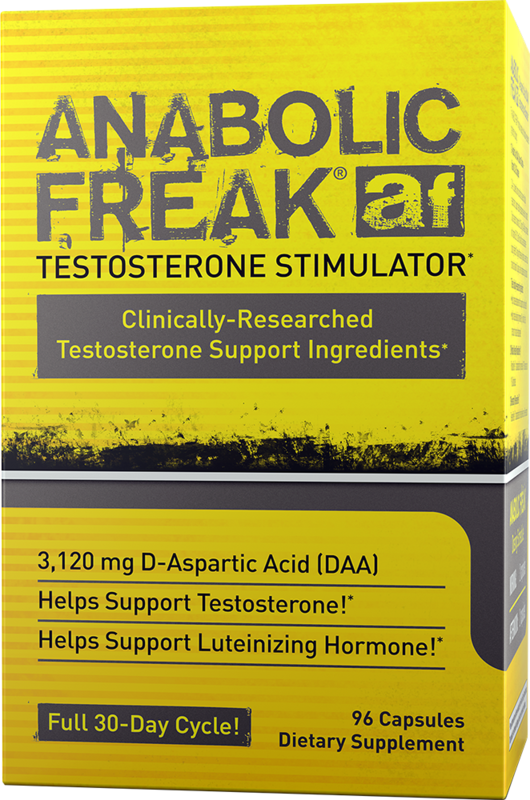 The Anabolic Freak was super, I loved how I felt. I used this product with the Test Freak and it paid off. I look fuller and feel big! Great stuff! excellent product, really increased my strength and i checked at the time of my training. I stacked this with GH freak and Test freak and after four weeks I have noticed a positive change in body composition and strength. I used it at a minimal dose. Definitely noticed faster recovery. I didn't see any signs of increased aggression. Good product overall. 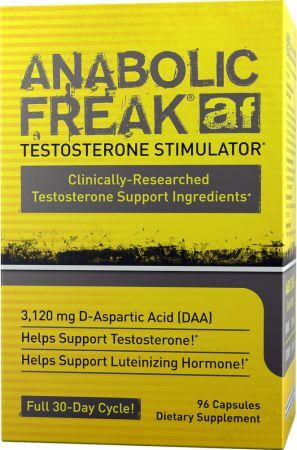 PharmaFreak sent me a bottle of Anabolic Freak to review. 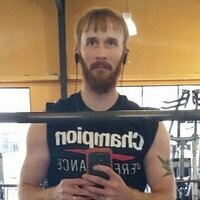 I am 34 years old and have been in the gym working out steady for the last year. 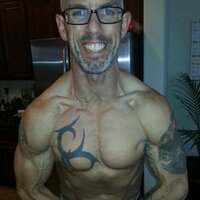 At the beginning of my time in the gym I saw great progress, but then everything slowed down. I couldn't gain anymore weight or muscle. I was working out hard, but just couldn't get the results that I wanted. I really think that Anabolic Freak helped me get past a plateau. After about a week of taking the product I began to notice a gradual increase in strength and size. Over the course of the month I was able to gain 5 lbs and was lifting heavier weight. I cannot say that it was all due to this product but I do believe that it played a very significant role in my progress. Thanks PharmaFreak! FINAL IMPRESSIONS: - GREAT LOOKING PROFILE - NO BAD SMELL - NO BAD AFTERTASTE - EASY TO SWALLOW CAPSULES - NOT EXPENSIVE I must say that I am always skeptical of Test products, but this one really came through. I would definitely buy this product and recommend that you do the same. I needed to try a good test booster and let me tell you. DAA is the best natural product out there. Pharmafreak serves you with high quality ingredients. This product helped me gain some strength and a little bit of leaner out since I used while cutting. Didn't like the break of 3 days but hey follow the directions and you will see some gains. As long as your diet in check. Definitely recommend to others looking for a good test booster. 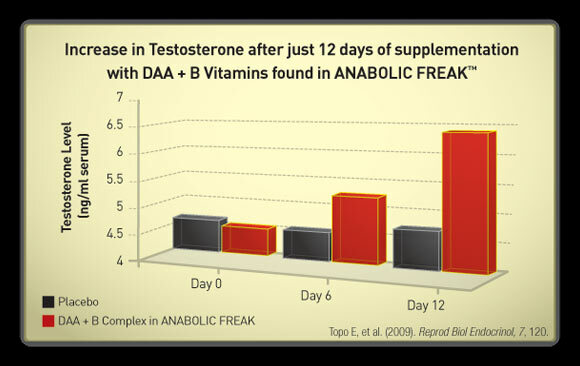 Directions For ANABOLIC FREAK: As a dietary supplement, men take 2 capsules in the morning and 2 capsules mid-afternoon, or before exercise. Use for 12 consecutive days followed by a 3-day off period, then repeat. Warnings: KEEP OUT OF REACH OF CHILDREN. Do not use if you are pregnant or nursing. Not intended for use by persons under the age of 18. Consult a physician before using this product if you have been treated for, or diagnosed with, or have a family history of any medical condition or if you are taking any over-the-counter or prescription medication. If you are under medical supervision, consult with your physician before use. Use only as directed. Do not exceed recommended serving, as improper use of this product does not enhance results. Store in a cool, dry place.